Note: There are spoilers in this article. 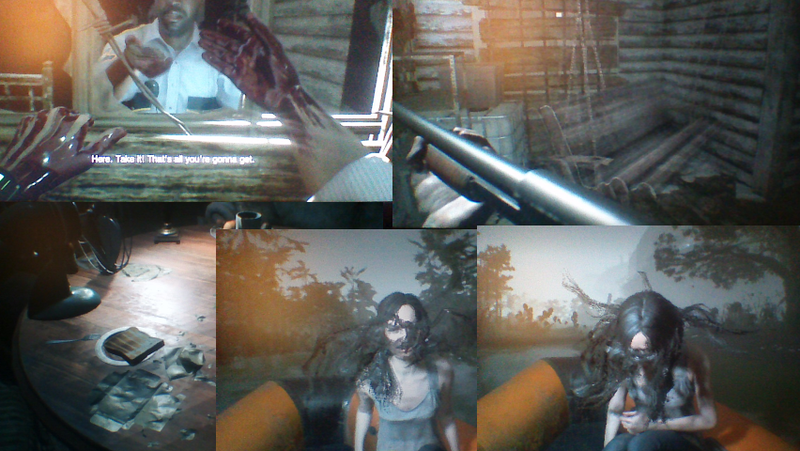 As far as immersing myself in a brand-new game goes, Resident Evil 7 proved to be an interesting experience. In the weeks leading up to its release, every new bit of information got me eager to begin playing. Though it would not feature any of the established characters in the series – with one possible exception – I thought it would be refreshing to play as newcomer Ethan Winters, a non-combatant in search of his wife, Mia, who was believed to be dead for three years. As soon as I downloaded the game on the more advanced of my two computers, I booted it up eager to start playing. I was highly disappointed when the game crashed each time I tried to start it. After three unsuccessful attempts, I determined that I would likely have to wait until I got a newer and more state-of-the-art computer before I could delve into the world of Resident Evil 7. Despite my determination to stay spoiler-free, I couldn’t resist watching YouTube videos detailing the game and all its secrets. While not the same as experiencing it first-hand, I still enjoyed the story, spooky atmosphere, and a few twists and turns along the way. And I began to imagine ways in which this new installment ties in with previous games in the series. I was resigned to writing a critical essay about Resident Evil 7 without actually playing the game. But I was surprised when I found out on February 7th that the game would run on my more substandard computer. I would liken it to trying to play a DVD with a VCR, but the game still ran all the way through without crashing. I’m not sure what inspired me to try and start it, but I’m glad I did. There were however several glitches present that made it interesting, such as a porch swing that looked like it was having an epileptic fit or seeing Mia’s hair literally flapping all over the place during a speedboat ride. Perhaps the most disturbing glitch was seeing Ethan’s hands completely coated in blood before he’d even wandered into the dangerous house where much of the action takes place. Examples of the game glitches encountered, and the perfect piece of toast in the bottom left. In spite of the bugs, I still found the game enjoyable. I’m glad to have gotten a chance to play it myself. Since I’m someone who prefers to take their time and look around in detail, I observed quite a lot about the environment and what it tells about the characters. One thing that I found humorous during my exploration was a perfectly-preserved piece of toast that seemed quite out of place in the decayed, moldy plantation where the game is set. The villains, like the hero, are also new to the Resident Evil series. In this outing, you must square off against the deranged Baker family – Jack, Marguerite, and their son, Lucas – and an evil genetically-engineered girl named Eveline who is capable of controlling people after she infects them with a mold-like virus. There are moments where the Bakers seem to act of their own accord, so I’m inclined to think that Eveline’s victims come around to her way of thinking after a lengthy exposure. On the other hand, Mia seems capable of fighting Eveline’s control, though she was the first to be infected. This seems to suggest that Mia – and Jack and Marguerite’s daughter, Zoe – is more strong-willed or somewhat immune to the effects. To clarify, Mia was part of a team in charge of transporting Eveline from one science facility to another when the latter somehow escaped containment. This resulted in the destruction of the tanker they were aboard, which subsequently drifted into the bayou bordering the Baker’s home. Not much is known about the Baker family and what their lives were like before Eveline entered the picture, but there are little things about their house or mannerisms that tell something of their respective backgrounds. For instance, Lucas is quite skilled at engineering according to the trophies in his bedroom, though his journal entries tell that he was a psychotic killer even before Eveline got to him. In addition, Marguerite’s biggest passion is cooking, but she gets offended because her meals, repulsive to normal people, are refused. It’s hard to guess at Jack’s background, but it is known he is a former Marine. Some of his hobbies may have included hunting or taxidermy. You might ask what this story has to do with any of the previous games in the series, but I feel there are some interesting connections. Perhaps the biggest setup for this scenario is tied into what Derek Simmons, the high-ranking NSA agent and main antagonist of Resident Evil 6, proclaimed in his final hours: “You have no idea what would happen if I die!” As villainous as Simmons was – he did assassinate the U.S. President, after all – it is possible that he was holding a greater threat in check. Just maybe, his demise paved the way for the organization that created Eveline. 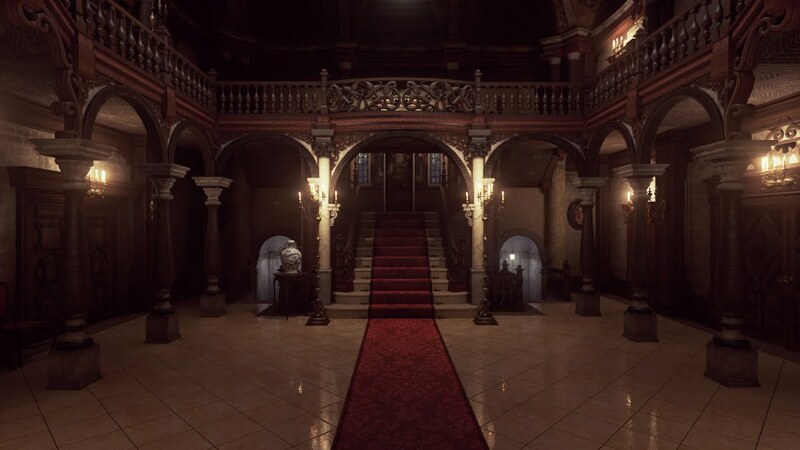 Another interesting connection between Resident Evil 7 and its predecessors is how closely the Baker plantation resembles the Spencer mansion from the very first game. A work order found in one of the plantation’s rooms reveals that the Bakers had hired an architecture firm named after the ill-fated George Trevor, the builder of the mansion. It’s curious why the Bakers chose George’s style and inclination to create puzzle-based rooms meant to hide secret passageways for their own house, but there may be a simple explanation for this. I think it’s possible the Bakers might somehow be related to the Trevor family; maybe they wanted to honor George’s vision. There are also some oddities about this game that hint at a much larger picture. For one thing, it’s curious how or why such a large ship went unnoticed for three years. However, Ethan discovers some documentation inside a mine late in the game that indicates Lucas was somehow “freed” from Eveline’s control and was secretly monitoring her for the benefit of an unknown party. It would be quite the twist if Lucas were one of the good guys despite the insane death traps he stages for some of the characters taken hostage by his family. Even more puzzling is the military team who comes to the aid of Ethan (and Mia if she survived) at the very end of the game. This team is aboard a helicopter that has an updated logo of the Umbrella Corporation, the corrupt pharmaceutical company responsible for starting the bioterrorism war. What’s weirder is that one of the soldiers introduces himself to Ethan as Redfield, and the closing credits show Redfield’s first name to be Chris. I am unsure what to make of this ending, but my imagination is in overdrive and my mind is filled with countless questions. Is the Umbrella Corporation somehow back in play? Are they the good guys now? Is Chris Redfield, one of their long-standing opponents, really working for them, or is it just an imposter using his name? 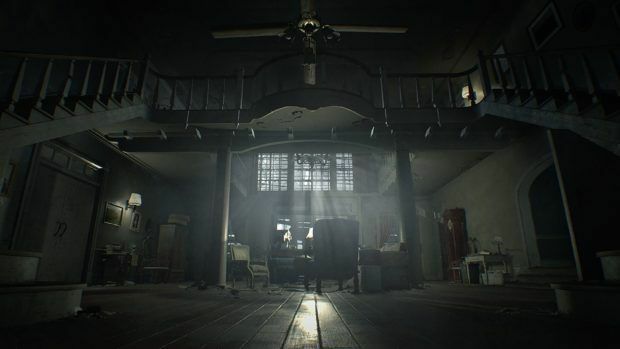 I am certain these questions will be answered once Resident Evil 7’s expansion pack titled Not a Hero comes out in the spring, but I will be anxiously awaiting some resolution until then. What I like most about Resident Evil 7 is how it uses the formula made popular by the early games. There are puzzles you need to solve to advance through the house/game, limited inventory space that forces you to decide what to carry with you or store for later, and the requirement to save your ammo for when you really need it. I failed a bit at the last one and was down to only one Magnum bullet and a limited amount of flamethrower fuel for the final fight; as if that wasn’t bad enough, I got eaten whole by the last monster when I stupidly stopped firing for a couple seconds. All things considered, I didn’t do too shabby for my first playthrough, but I was really struggling to survive my third fight with a mutated Jack Baker. Though I was sure I was going to get killed, I somehow managed to make it through in one piece. In the end, I only died twice in the whole game. And that was just on the easiest difficulty setting. I shudder to think what the hardest difficulty will be like, but I’m not one to shy away from a challenge.